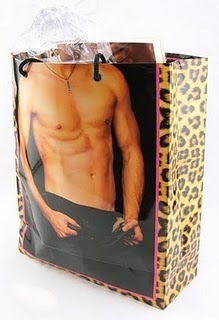 Yes, this bag has a half-naked man on it. Sure, he might be half-naked, but at least it’s the top half, and everyone can appreciate that, right? 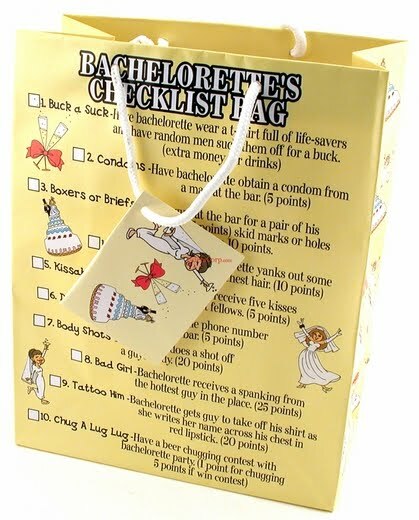 There’s no penises, so I would think that this bag would be pretty safe for most bachelorette parties. It was the least raunchy thing I could find, anyways. If you need something less than this, maybe you’ll have better luck than me, and please let me know in a comment if you do! Now, these last two do make some raunchy references, but I think they’re a very interesting idea. 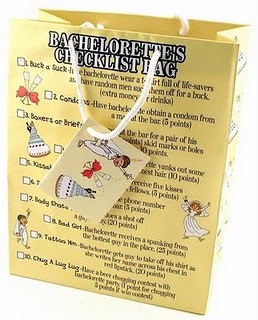 The first one has drink recipes on it and the second one has a list of dares for the bachelorette to try. 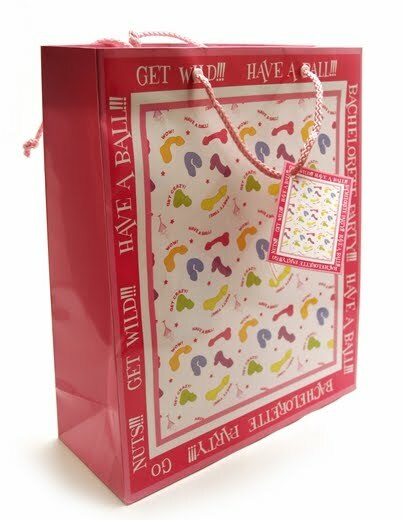 They’re like interactive gift bags! It’s like a combination bag and gift list and a combination bag and party game! I thought this was a really clever idea. Although, again, some of the drink names and dares are a little inappropriate so they won’t work for every party, but when it will, I think it’s a fun way to add something to the party - just with something that normally gets thrown away! 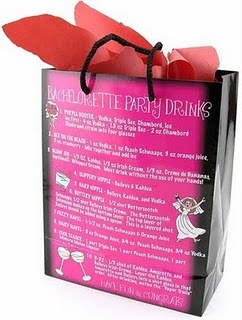 I understand that not everyone wants to spend a couple bucks when you can just use an old grocery bag, but what fun is that? If you’re willing to spring a few bucks, I think this would be a great investment that would make any gag gift just that much funnier.